Eva Yazhari is a CEO with 14 years of experience working in the venture investment and asset management industries. She is currently Co-Founder and CEO of Beyond Capital Fund (“Beyond Capital”), an early-stage investment fund that improves the lives of 2.3 million women and families living under the poverty line with its seed investments. The fund has a 27 percent realized IRR and a book value IRR of 33 perce. As a part of her role,Yazhari is a member of the Beyond Capital Investment Committee and Board of Directors. She manages the post-investment and ongoing relationships with Beyond Capital’s nine portfolio companies, which includes strategic advisory and serving on the Board of Frontier Markets and an observer role at Karma Healthcare. Throughout her career,Yazhari has been involved in management and investment efforts. Eva was previously a Vice President at EnTrust Capital Inc., an asset management firm where she managed the Shareholder Activist fund manager investment portfolio, including managers like Carl Icahn, Dan Loeb, Nelson Peltz, and Bill Ackman. As a member of the hedge fund investment team at EnTrust,Yazhari specialized in fund due diligence and underlying fund portfolio analysis. Her past experience also includes private equity and investment banking. Eva leverages her background in finance to ensure that the capital allocated in Beyond Capital’s investment portfolio is put to effective use in accordance with rigorous analysis and effective mentoring. She is also currently an angel investor and manages her own portfolio. Her portfolio of angel investments has a book value return of more than 10x. Yazhari is a pioneer in the field of impact investing – she was recently interviewed on goop.com. Eva holds roundtables in Switzerland, Los Angeles, and Dallas for banks, foundations, and individuals, in addition to participating as a panelist at numerous family office conferences as well as SOCAP and the Skoll World Forum. Eva frequently serves as a judge and mentor for accelerators and business plan competitions, including the Global Social Benefit Incubator and the Echoing Green fellowship. She brings to the table the unique understanding of both the investor’s and the entrepreneur’s challenges and needs. 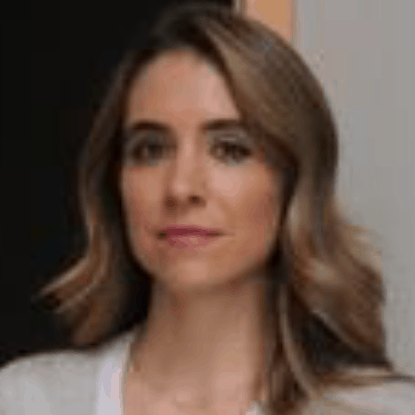 She is a member of the Milken Young Leaders Circle, the Forbes New York Business Council, and a spouse member of the Young Presidents’ Organization, active in the Personal Investing Network. Yazhari graduated from Barnard College, Columbia University with a B.A. in Mathematics, and has completed Executive Education at the Harvard Business School. She lives in Dallas with her family. In many emerging markets, social entrepreneurs are financing their ventures with personal funds and high-interest loans - mainly because it's so tough to grow out of the startup phase without being able to show financial returns. The nonprofit Beyond Capital Fund provides pro bono advisory services to help investee enterprises establish and implement operating procedures and regular impact reporting systems, writes CEO Eva Yazhari. She explains how these formalized structures lend credibility and stability to sustain the businesses and attract potential investors - functions that are often lacking in the impact investing ecosystem.